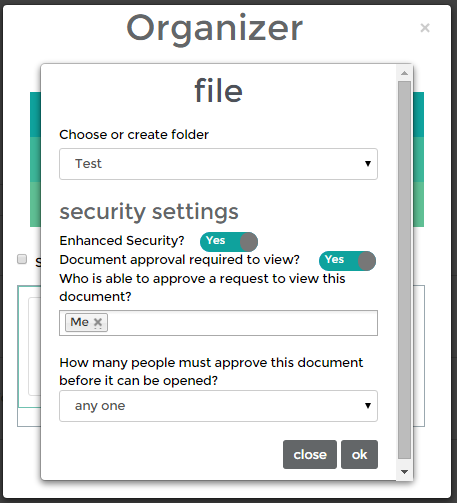 Securely centralize, organize, and track all of your documents in the cloud. 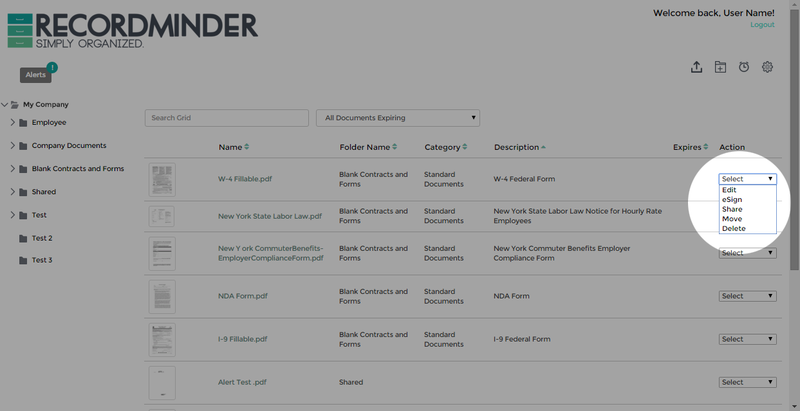 Recordminder is a document control platform that helps growing and mid-market companies create, secure, and manage legally significant records. 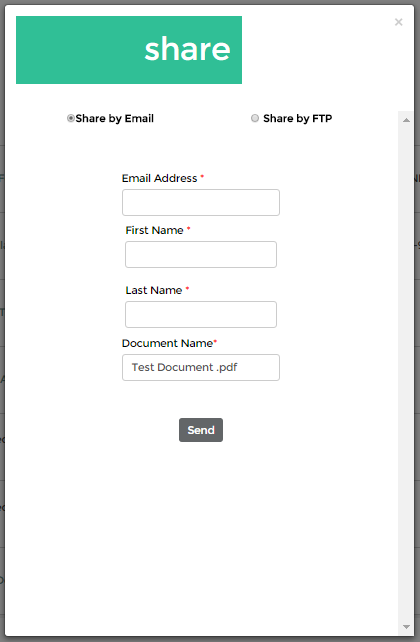 Sign and send forms and documents with our eSignature features from your desk on the go. Take control over who has access to what records. 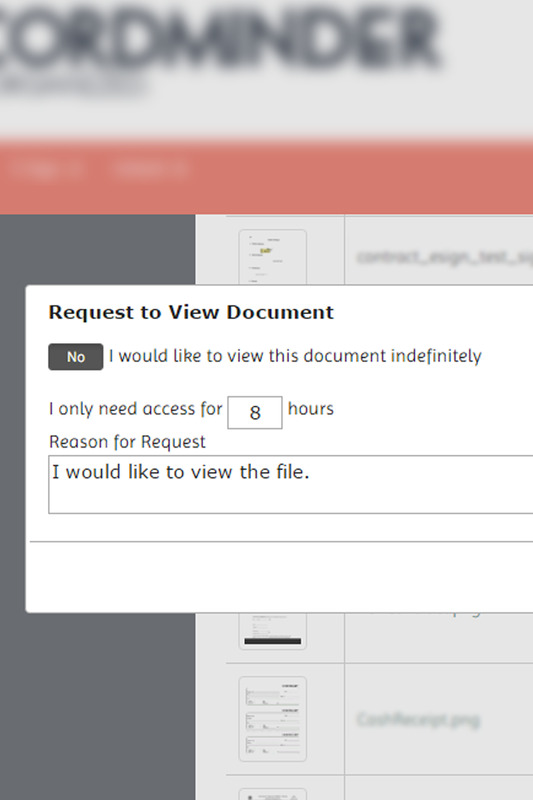 Track and approve (or deny) requests for other parties to have timed access to your confidential files. 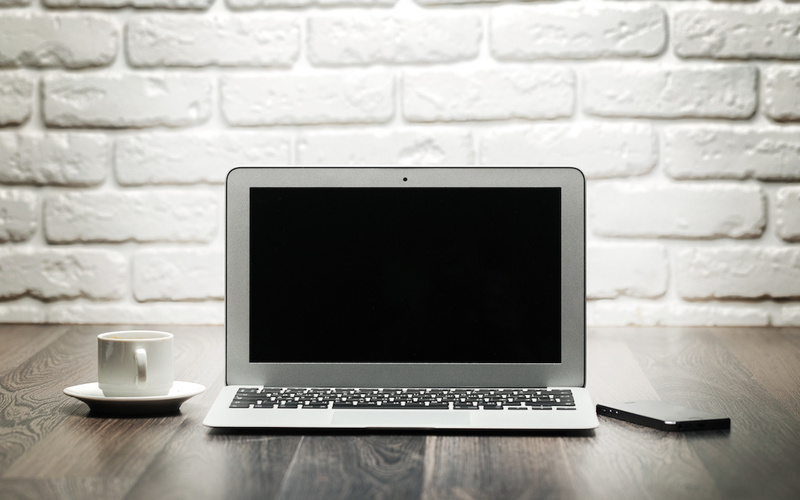 Stay secure and up to date with all your legally significant documentation. 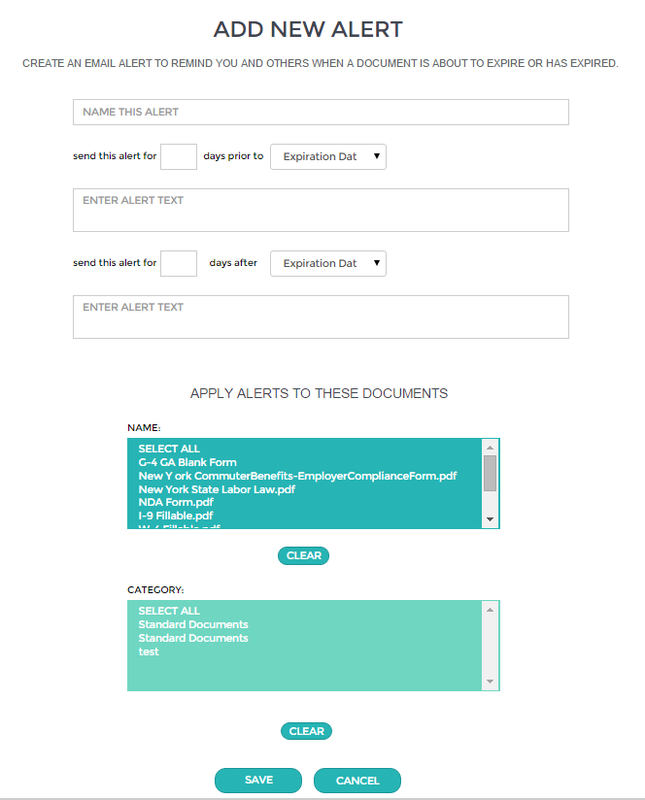 Set alerts to notify you when a document is nearing expiration. Avoid costly fines and keep your records up to date. 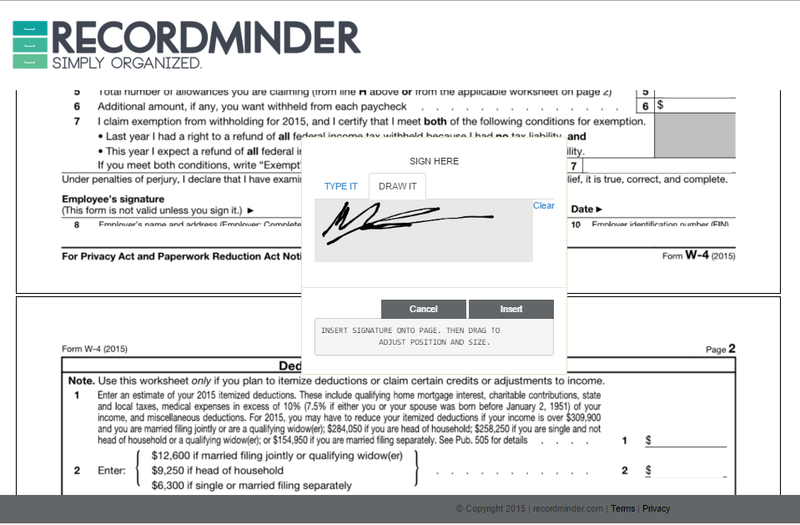 Whether you plan on using Recordminder in a personal or professional setting, we have you covered. With both free and paid account options there is one that is perfect for you. I recommend Recordminder for all my clients. As a seasoned administrative professional and owner of a company which provides virtual assistant services, I needed something which doesn’t require a physical filling cabinet somewhere and a way to not just file and forget. Record Minder took care of both these needs. With its secure cloud-based access I can keep all my important documents for clients organized. I can grant access based on roles so everyone doesn’t see everything. And most importantly for me, unlike another document management e-filing system I have used in the past, Recordminder has alerts so I don’t forgot to update soon to expire I-9s or file my annual reports in a timely manner. In our business we have a lot of labor contracts and work orders we need to fill very quickly. This requires us to send, track and manage numerous critical documents for clients and candidates in a time sensitive manner. 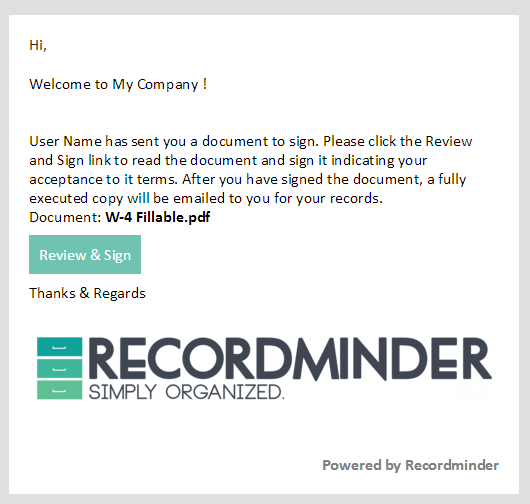 Recordminder' s esignature process makes it easy and extremely fast send out marketing materials, to onboard new employees and gets work orders signed rapidly. It is an indispensable tool for our business. 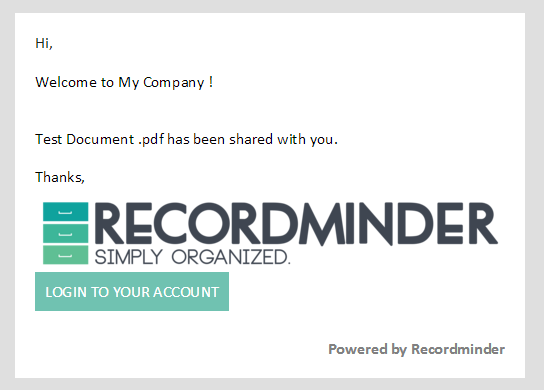 Recordminder lets you manage your documents, share information, choose who has access to what, manage permissions, store encrypted files, and more. 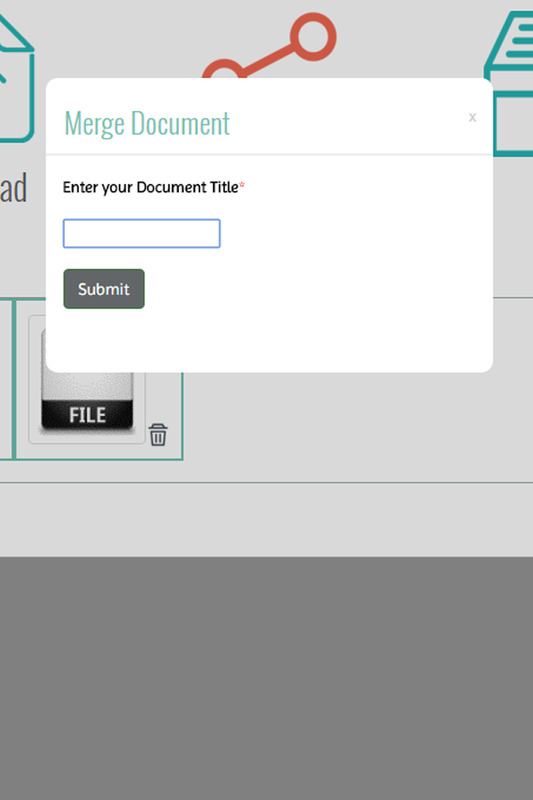 Send your documents for eSignature securely. 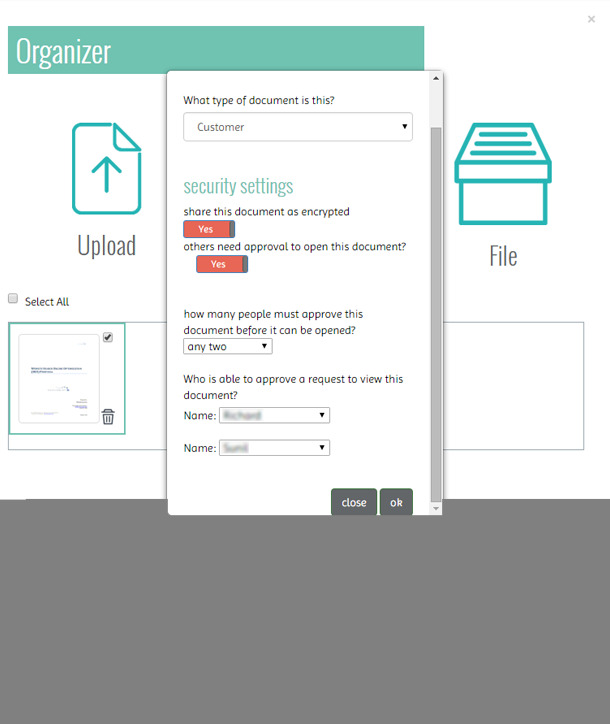 You can share your files securely with Recordminder. The recipient will receive an email letting them know that a file has been shared with them, and they click the link within the email to view the document. Set alerts to let you know when contracts are expiring. Avoid costly fines and unnecessary late fees. 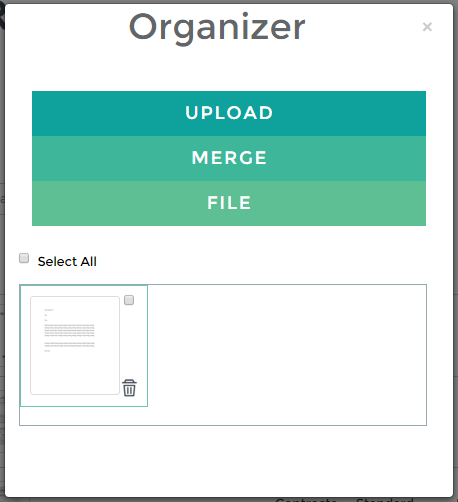 Consolidate all of your files into one plce. Easily manage all of your important documents from anywhere at any time. Choose between standard or increased security to keep your documents safe and in compliance. SPAM CHECK: What is 2+2?